Development matters: Display high levels of involvement in activities (40–60+ months). Early learning goal: children are confident to try new activities, and say why they like some activities more than others. They are confident to speak in a familiar group, will talk about their ideas, and will choose the resources they need for their chosen activities. 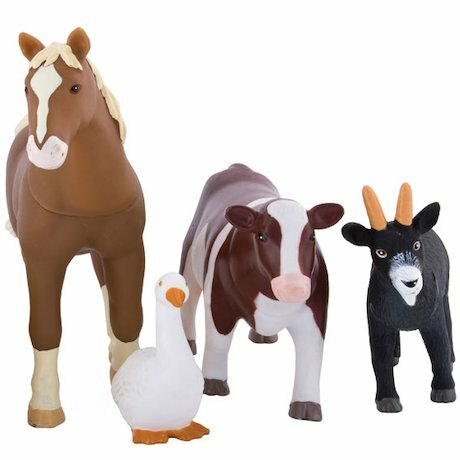 A large feely bag; a selection of plastic farm animals.